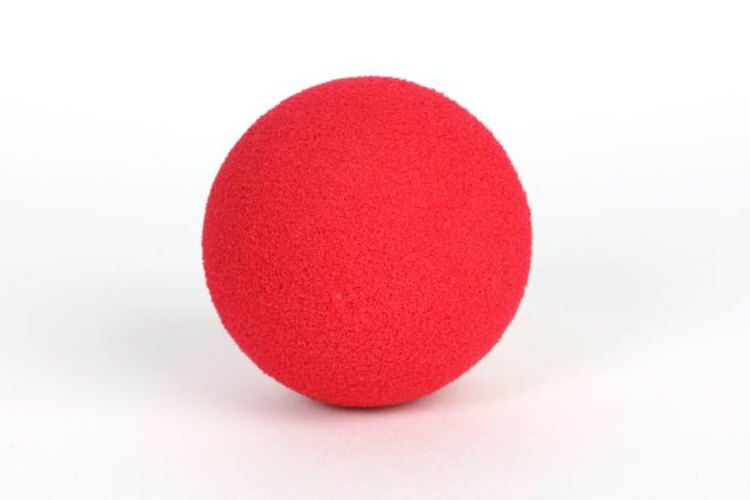 Gaga ball is played with a foam ball that resembles a kick ball. Throw everyone of all skill levels and ages into an octagonal ring. Toss in one soft foam gaga ball and blast some music; the action is about to begin. All players have one hand on the edge of the three-foot-high ring. When the ball hits the ground, they yell "Ga!" When it bounces again, they yell "Ga!" The suspense builds as the ball comes down for a third time and they scream "Go!" Hands come off the rails, feet shuffle and the ball is live. Once the game has begun, players are free to move around the walled-in octagon. You can only hit the ball with an open hand and cannot hit it twice in a row; it must touch the boundary wall or another player first. Your goal is to eliminate all other players by hitting them with the ball below the knees. Balls striking a player above the knee do not count. You can use the three-foot tall boundary wall to assist in a jumping dodge, but falling out eliminates you. Play continues until one player remains, then another game starts immediately. Games rarely last longer than five minutes. Gaga ball is typically played in a 20-foot-diameter octagonal pen with three-foot-high walls. But an impromptu court can have five or six sides made out of tipped-over folding tables. And rules can vary wildly depending on the court. Some people like to widen the elimination area to anywhere from the waist down. Some eliminate a player for hitting the ball out of bounds. You might run across a game that allows catching the ball out of the air to eliminate the player who hit the pop-up. And some games get intense, playing with more than one ball. Feel free to introduce new rules that maximize fun. Ga Ga Center: What Is Gaga?